If you follow my blog, you know that I’m addicted to traveling. 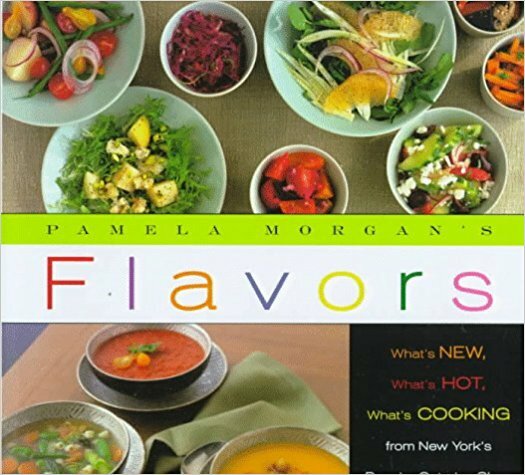 One of my favorite things is to learn the food culture of a country. 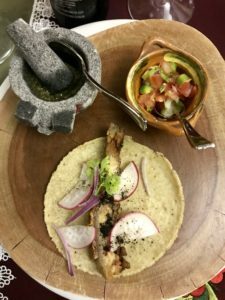 Although I grew up in Texas, the Mexican food I know is nothing like the food of the Yucatán. 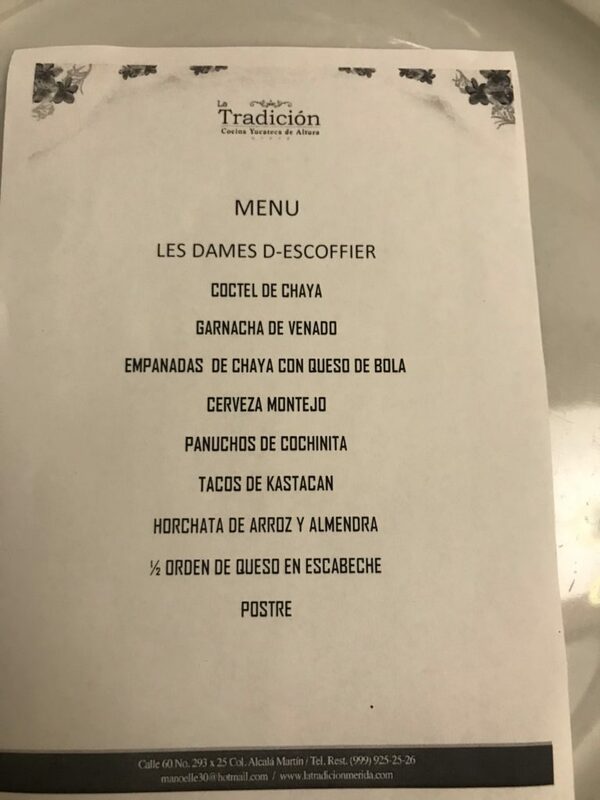 So, when I saw that Les Dames d’Escoffier were taking a culinary trip to Mérida I had to sign up! 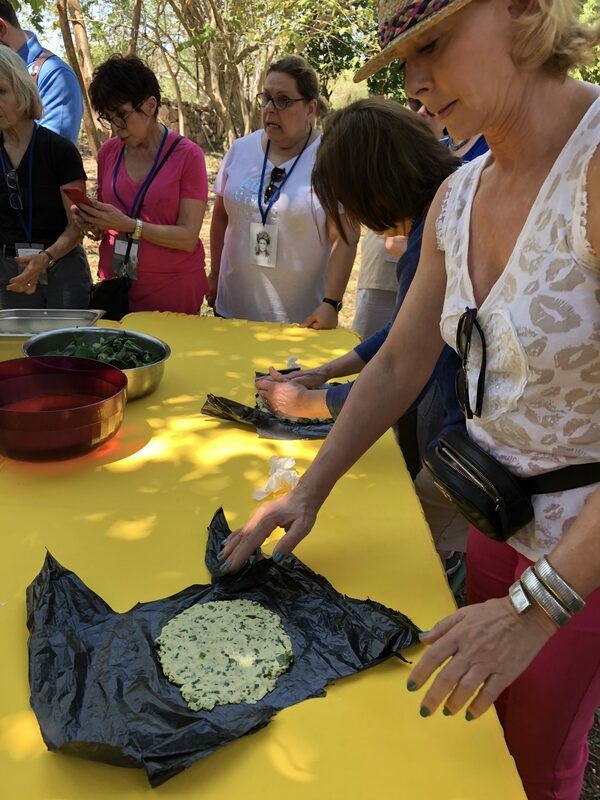 In addition to their many local educational programs, Les Dames organizes trips around the world with experts in those areas, to teach its members about their food culture. 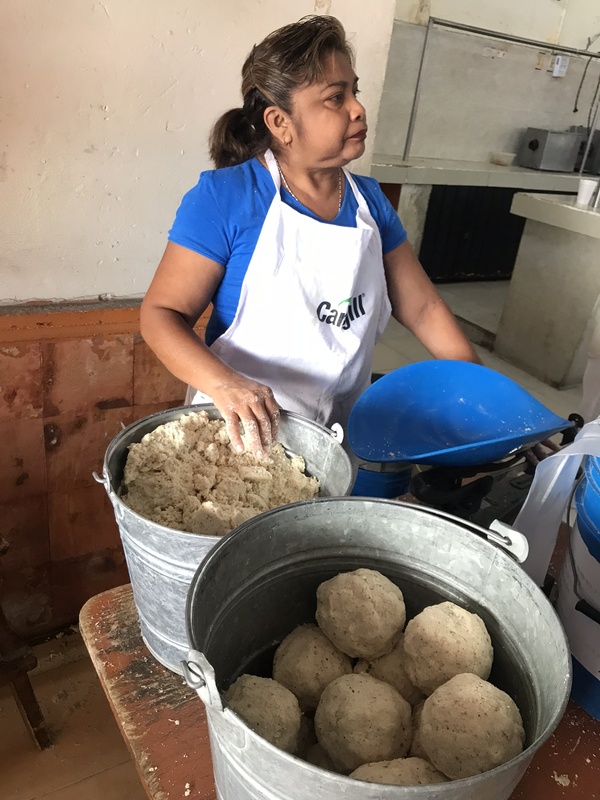 I am so fascinated by The Mayan traditions which are very much alive in their cooking and way of life still. Treated like Royalty the moment we arrived with live music to greet us! 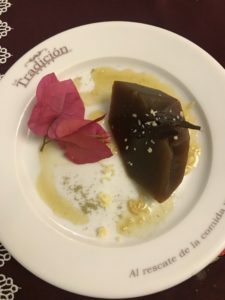 When we first arrived, we had a special welcome dinner at a restaurant called La Tradición, headed by Chef David Cetina who made us an exquisite meal! 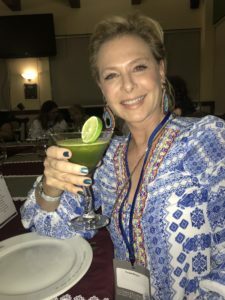 Chaya is a superfood, but a cocktail is still a cocktail, which I realized into my second! As you can see from the menu, it was a full meal with lots of local ingredients and specialties. 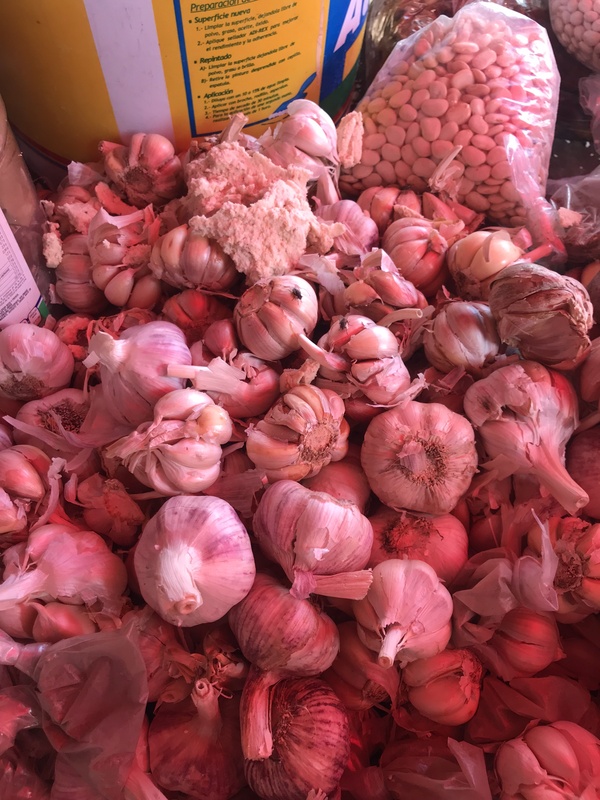 One of those local ingredients is Chaya. We saw this everywhere we went. 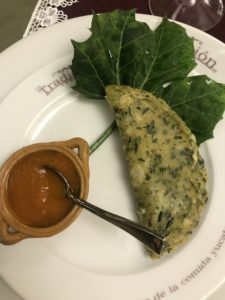 Chaya is a leafy green like spinach, and is actually sometimes called Tree Spinach. 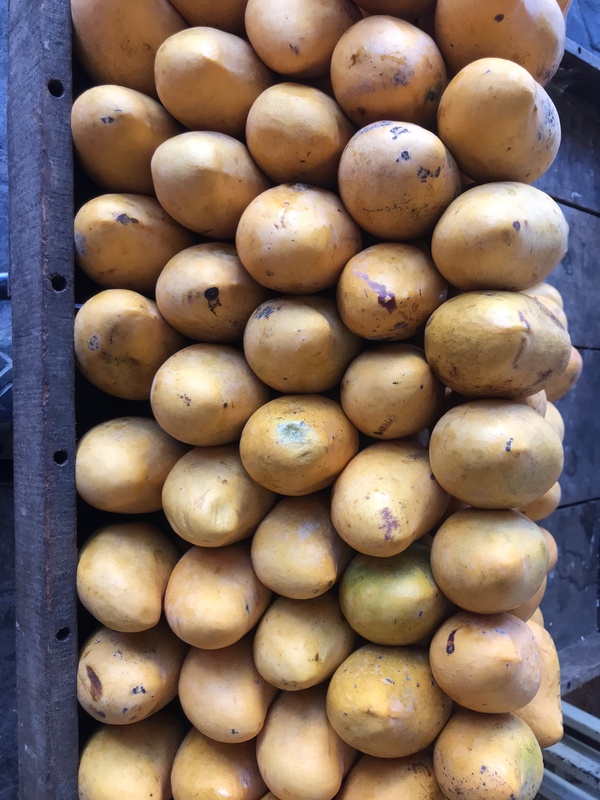 It’s a perennial that’s native to the Yucatán and I predict it’ll soon be seen all over our country as the next superfood because it’s very high in anti-oxidants and easy to grow. That night, we were not the only food professionals in the restaurant. 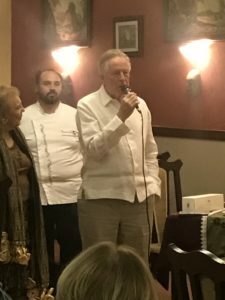 One of the pioneers of California Cuisine, Jeremiah Tower, was there as well. 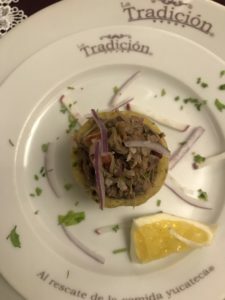 He spoke to us about how he loves living in Mérida because of the quality of the fresh ingredients. What a promising way to start out our adventures in the Yucatán! 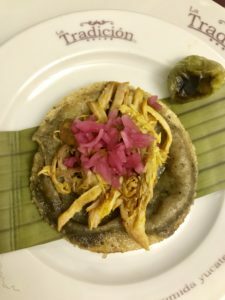 After our amazing dinner in Mérida we enjoyed many meals that utilized the ancient tradition of cooking meat in large pits in the ground covered in banana leaves. 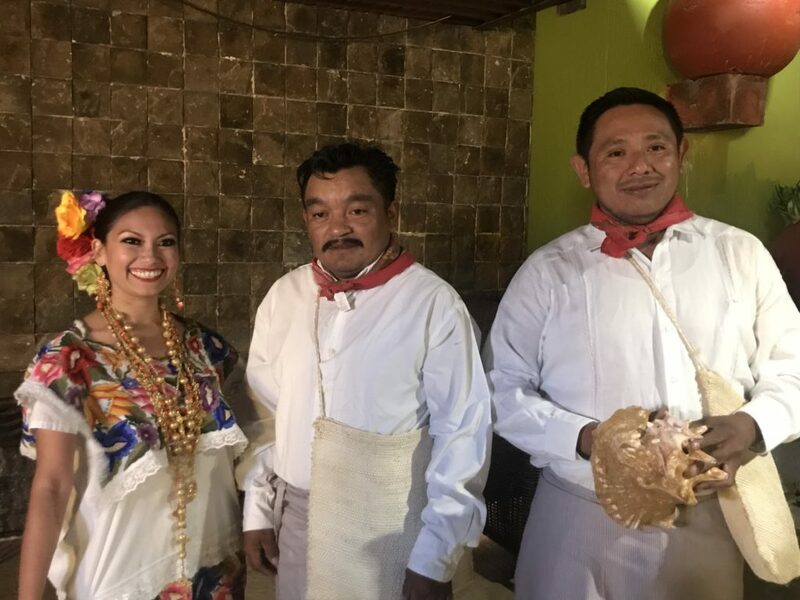 We were also treated to a class with some of the local Mayan women–or Las Mujeres Mayan, who showed us the techniques they’ve been passing down through the generations! 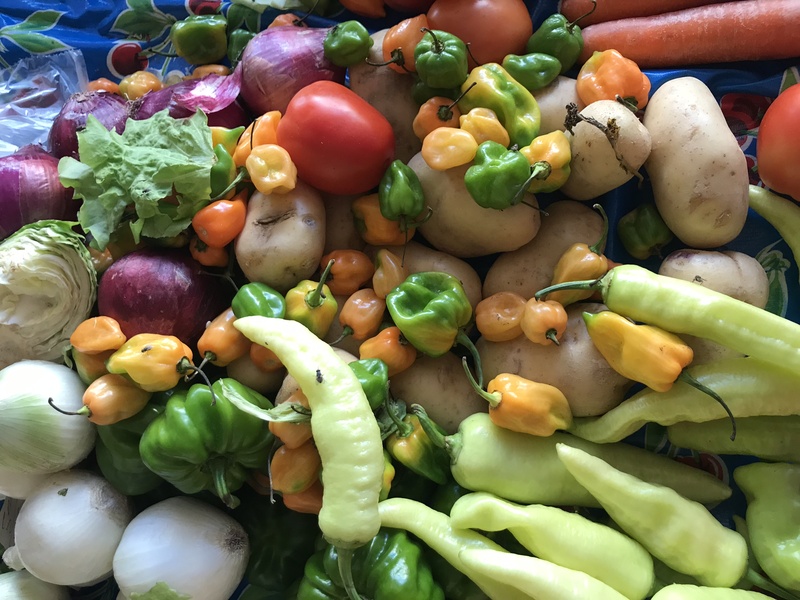 On our way to the class, we stopped at one of the local markets to pick up some of the fresh produce that we would use to cook our own meals. 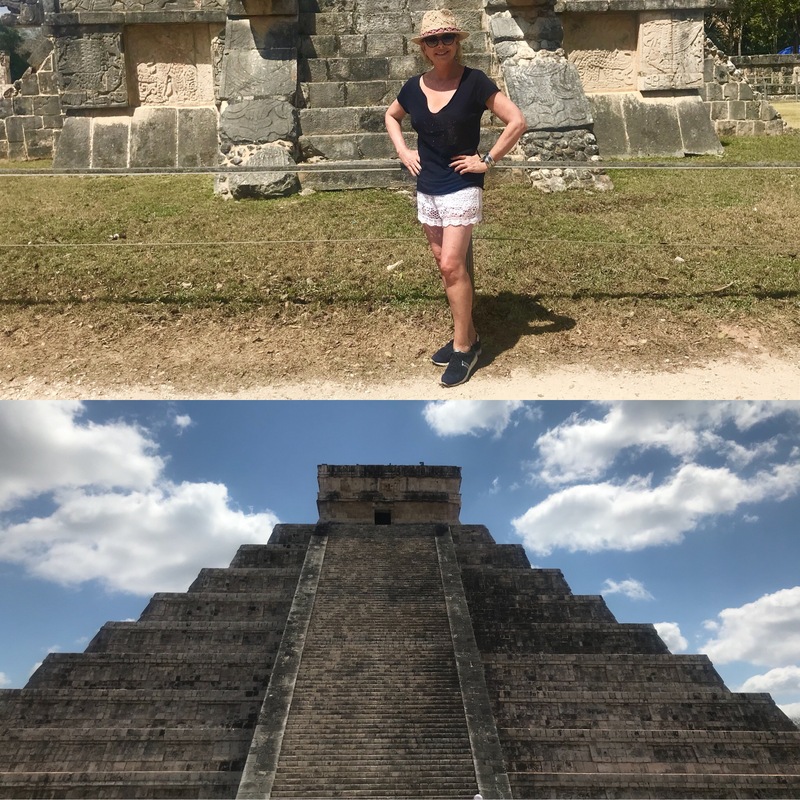 And of course, we couldn’t miss out on seeing one of the 7 Wonders of the World, Chichen-Itza even though it was 99 degrees outside! Rose colored filter on my iPhone! 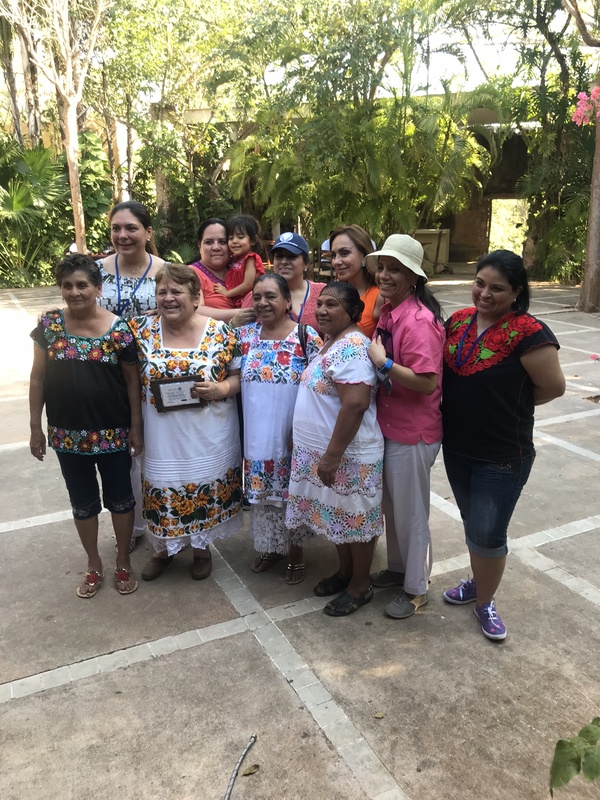 The ladies of LDEI Mexico plus Las Mujeres Mayan chefs! 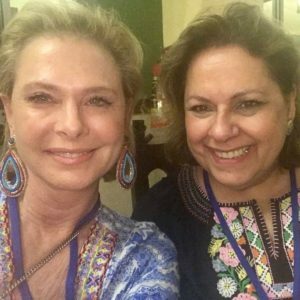 Many thanks to our wonderful hosts, the Les Dames d’Escoffier Mexico, and past president of LDEI, Maria Gomez-Laurens for putting this all together! This tequila’s for you! Speaking of—who wants to come with me to Tequila for my next Mexican getaway? 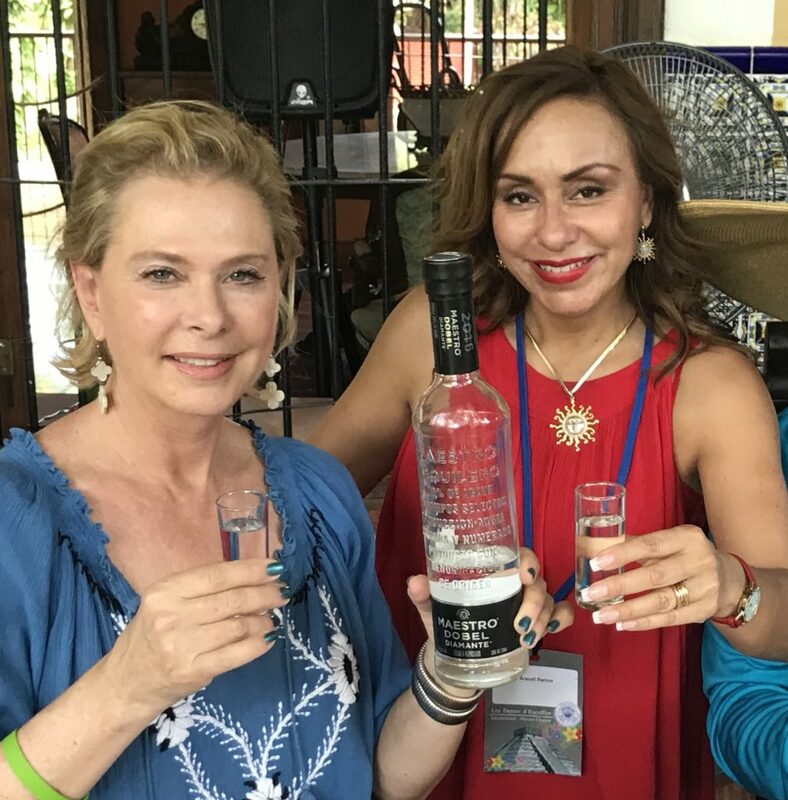 Drinking my new favorite tequila with Araceli Ramos Rosaldo, Director of Promotions and PR for Jose Cuervo. 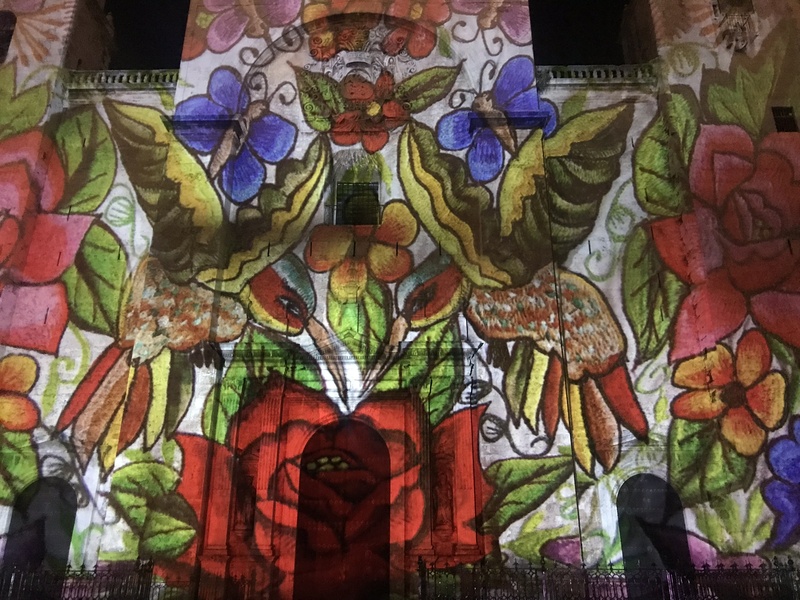 Araceli Ramos Rosaldo helped to bring the Tequila train to life for Jose Cuervo, and I may need some drinking buddies because it sounds like a blast! In the meantime, if you’re looking for an unbelievably smooth Tequila to drink from the comfort of your home, I have recently been converted to the Maestro Dobel Diamante–I won’t stand for anything else! How wonderful to see your adventures! Thank you for keeping me informed.